Which economies and businesses score the most out of the World Cup? As World Cup fever grips fans across the globe, we’re taking a look at just what impact football has on the international economy. 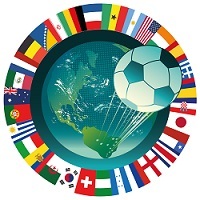 From the income generated for the host country and the increase in tourism to the power of marketing promotions and celebrity endorsements, it’s all big business for the biggest game on the planet! Brazil – Right now all eyes are on Brazil and it’s safe to say that the country can expect quite a financial boost over the coming weeks, and indeed over the coming years. Brazil’s Ministry of Tourism predicts the arrival of around 3.7 million tourists during the 2014 FIFA World Cup, with each one expected to spend around £1,500. This will add almost £2 billion in spending to Latin America’s largest economy. South Africa – Four years ago, in 2010, it was South Africa’s turn to be in the World Cup spotlight as hosts. The South African government reportedly spent $3 billion on the festivities, and earned back around $5 billion. But the real winner was the country’s image. The rest of the world no longer viewed South Africa as crime-ridden, dangerous and underdeveloped – a sure fire boost for foreign trade, investment and tourism. Germany – During the 2006 World Cup in Germany tourists spent €500 million and German businesses made €2bn in additional revenue. But considering the total size of Germany’s economy this number was deemed minimal. The lasting prize for Germany, however, was being able to rebrand itself as a united nation, improving its image around the world and was left with one of the most modern football infrastructures in the world. What about the fans at home? If England makes it to the final of this year’s World Cup, supporters are predicted to spend £2.58 billion. And each goal scored by the England team is expected to be worth a staggering £198.5 million for the UK retail and leisure industries. According to Visit Britain, around 900,000 tourists come to Britain each year to watch football, spending a total of £706 million. This is the equivalent of £785 per fan – £200 more than the average UK visitor. Looking also at the impact of British football teams, Manchester United is so beneficial to the city and its surrounding areas that football apparently provides Greater Manchester with the equivalent economic impact of an Olympic and Paralympic Games every four seasons (report by the Sport Industry Research Centre and Cambridge Econometrics). Smaller teams can have an effect on their local areas too. Burnley was recently promoted to the Premier League and financial experts, Deloitte, have estimated that it bring an additional £120 million to the club. The town’s profile is also set to receive a boost through international television exposure. Let’s spare a final thought for the footballers themselves and the impact their profiles have on the global economy. Footballer’s wages are known to be inflated, but with the likes of Cristiano Ronaldo, who was recently named the world’s most marketable footballer and is highly-recognised internationally by 83.9 per cent of the world’s population, it’s no surprise that high-profile brands are clamouring to have their products endorsed by him. Whatever the outcome of this year’s tournament, once the World Cup is over it’s certainly not the end when it comes to the money generated by football. Brands, companies, towns, cities and whole countries will be embracing footie fever, not just for the love of the sport, but for the financial windfalls too.